Regan Holmes, Clara Fronabarger, and Ashley White advanced to sectionals for Republic. 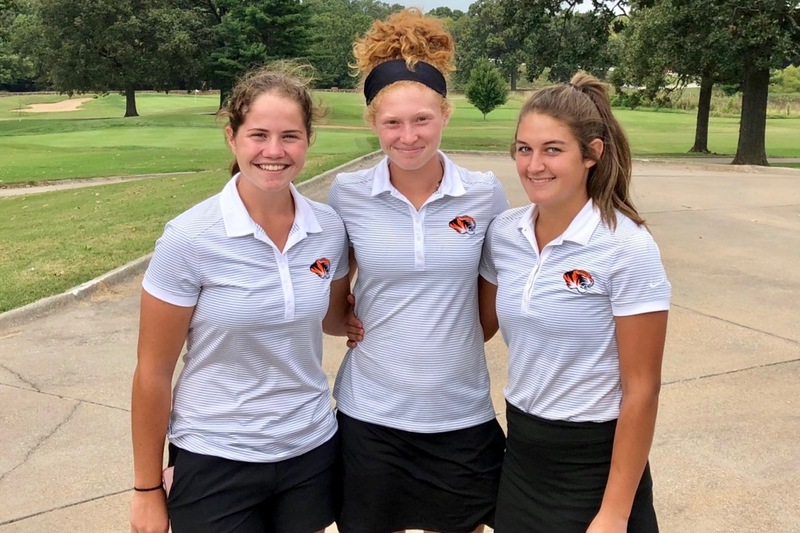 Three Lady Tigers advanced to golf sectionals Monday. Ashley White shot an 87 to take fifth place in the district tournament, played in Carthage. Regan Holmes shot a 92 to finish 13th. Both White and Holmes earned All-District honors. Clara Fronabarger also advanced to sectionals with a score of 97. She’ll join Holmes and White next Monday at Schifferdecker Golf Course in Joplin. Rylea Smith (106) and Makayla Fears (112) both failed to advance. The Lady Tigers finished third overall, just short of advancing all five team members to sectionals.